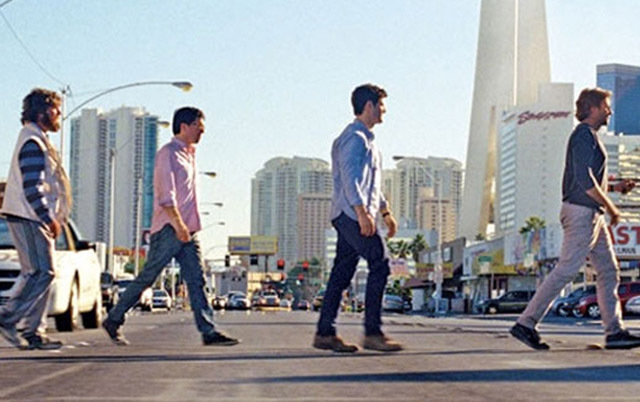 The most interesting elements in this latest entry of “The Hangover” series is the story gymnastics it has to perform to snare the “Wolf Pack” – portrayed by Bradley Cooper, Zach Galifianakis, Ed Helms and Justin Bartha – into its latest adventure. Who or what will drug them now? What will happen once they’re drugged? Well…nothing. With a plot more complex than a James Bond romp, this “Hangover” is the real deal – as in the sense it ends up providing a thudding headache. These are reputable comic performers, at the very least they should have a script that doesn’t have them visibly sweating, or obviously improvising. Alan (Zach Galifianakis) has gone a bit crazy since the last hangover of his beloved Wolf Pack. After a starkly inappropriate accident, he is dressed down by his father Sid (Jeffrey Tambor), who then has a heart attack and passes away. This funeral brings together the rest of the Pack, including Stu (Ed Helms), Phil (Bradley Cooper) and Doug (Justin Bartha). It is determined that an intervention is necessary for the addled Alan, to get him back on his anti-depression medication. This means the Pack will drive Alan to a clinic in Arizona, but the plans change when their car is hijacked along the way. They are confronted by Marshall (John Goodman), a mobster searching for Mr. Chow (Ken Jeong), who has recently escaped from prison. It seems that Mr. C has stolen Marshall’s gold, and only the Wolf Pack can hunt him down. To hold the upper hand in this task, Marshall kidnaps Doug and will only return him when the mission is accomplished.